Pure entertainment will be on display when Auburn and Oregon meet in Glendale for the BCS Championship. The dream pairing has the potential to match the epic thriller of Texas and USC in January, 2006. Lost in the shuffle is the undefeated Horned Frogs of the Mountain West conference. The nation was only one December defeat from seeing TCU battle Oregon or Auburn for the title. Any other undefeated team would be crying of disrespect after being delegated to the Rose Bowl. While Wisconsin and TCU should be intriguing, one would think the Horned Frogs could hang against the Ducks and Tigers as well. Sending the Horned Frogs to Glendale certainly wouldn’t satisfy rabid football fans searching to be entertained. 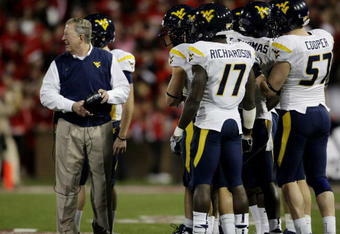 Television ratings would decline, and BCS conferences would ponder how a Mountain West team found their way to the top. The body of work put together by coach Gary Patterson is nothing short of amazing. His football program is 35-3 over the past three seasons and are making their second straight BCS bowl appearance. The strength of schedule argument can always be made. Other then narrow wins over San Diego State and Oregon State, the Horned Frogs have defeated every opponent by at least two touchdowns. One could also argue they are the most balanced, complete team in the nation. The offense scores an impressive 43.3 points per game, scoring over 40 points eight times in 2010. Led by Ed Wesley’s 1,065 yards, the Horned Frogs averaged 261.2 yards per game on the ground. Possibly the most underrated quarterback in the country, senior Andy Dalton threw for 26 touchdowns, 2,638 passing yards and posted an impressive 167.0 rating. Include the trio of receivers Josh Boyce, Jeremy Kerley and Jimmy Young and the TCU offensive weapons are intimidating. Anchored by Jake Kirkpatrick, the offensive line has the potential to protect Dalton from Nick Fairley, Brandon Bair or Kenny Rowe. The defense of Auburn is battle tested yet often questioned. The Oregon defense is opportunistic, makes great adjustments and experienced. While both the Tigers and Ducks defensive units boast talent and athleticism not seen by the Horned Frogs, it would be a safe bet TCU would score more than a few times. On the other side of the ball, the Horned Frogs are statistically the best defense in the country. They rank first in the nation allowing only 11.4 points per contest. The defense held both Utah and BYU under seven points in 2010. They shutout both Wyoming and Colorado State and held a total of eight opponents to 10 points or less during the season. Both the Duck and Tiger offenses are explosive machines the Horned Frogs have not seen all year. Much like the battle between Oregon and Auburn, it would come down to which defense can slow down their opponent. Could the Horned Frogs execute a game plan to control the talent of Cam Newton and LaMichael James? Both the Ducks and Tigers would look to stop Wayne Daniels, Tanner Brock, Tank Carder and Colin Jones. Jones recorded 10.5 tackles for loss and two sacks on the season. 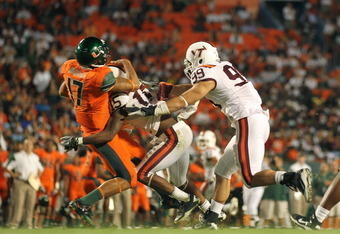 Brock led the defense with 86 tackles, five tackles for loss, and two sacks. Daniels posted an impressive 6.5 sacks, and 10 tackles for loss. Throw in the leadership provided by Carder and the front seven is a handful. Jason Teague and Tejay Johnson lead a secondary that would most likely spend a lot of time on islands. I am with the rest of the nation, the 2011 BCS Championship is a dream matchup. I also think that TCU would have a great shot at upsetting the Ducks or Tigers for a national title. Two coaches with different stories, the paths of Pete Carroll and Lane Kiffin will cross once more. Both coaches were responsible for the rise, glory, and fall of USC football over the past decade. The former-Trojan leader is fourteen games through his first season with the Seahawks. At 6-8, his team is currently leading the woeful NFC west division. While Carroll displays an enthusiasm and creative-style not seen in most NFL head coaches, his personnel decisions are questionable. A twenty-hour drive south to Los Angeles, Kiffin is focused on recruiting with no hope of returning to a college bowl game until 2012. Playing with the most talented roster west of the Mississippi River, the Trojans finished the season at 8-5. The stars are aligning perfectly for Carroll to replace Kiffin after he is dismissed following the 2011 season. On June 10, 2010 the NCAA announced sanctions against the Trojan football program that included a two-year bowl ban, the elimination of thirty scholarships and the forfeiture of two (2004 and 2005) of Carrol’s greatest seasons in Los Angeles. A coincidence or not, Carroll left his position with the Trojans to coach the Seahawks just six months prior to this announcement. 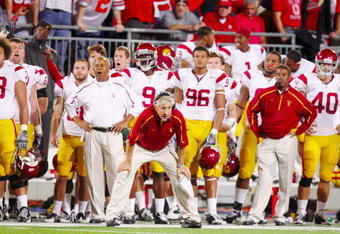 Hiring Carroll to return in 2012 is the splash needed to return USC football to the national spotlight. Once considered the best program in the country, the Trojans need to quickly catch-up to a powerful Oregon program. After being spoiled with the savvy, and success of Mike Holmgren, Seahawk fans are not sold on Carroll as a NFL head coach. The Seahawks are 6-8, and not recognized as a quality team despite leading the NFC West division. Carroll doesn’t have the roster depth to deal with the common injuries incurred during a an NFL season. Following this season, the burden of an aging Matt Hasslebeck, a non-existent running game, and an average defense will be the main issues facing Seahawks management. Some of his personnel decisions have been pleasantly surprising. He has made several good draft picks, and also some very puzzling transactions. 2010 first-round picks Russell Okung, and Earl Thomas have been good. The return of Mike Williams has been a comeback story. The release of T.J. Houshmanzadeh was a shocking move before the season began. Building a strong NFL roster takes time, and Carroll likes to achieve success quickly. Stints with New England, Seattle and the New York Jets have yet to prove he is a quality NFL coach. 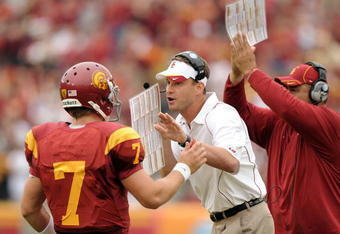 His coaching ties with USC is apparent, but Kiffin still has yet to prove he can win consistently as a head coach. The university settled with Kiffin after receiving no interest from Mike Riley, Jack Del Rio and Jeff Fisher. A sharp contrast to Carroll’s laid-back personality, Kiffin makes uneducated statements and decisions that spark outrage among coaching peers, fan-bases and the media. The Los Angeles community and Kiffin’s personality do not match. Since leaving the Trojans as an offensive coordinator, he has held three different coaching positions over the past four years. Kiffin quickly constructed a coaching staff of big names in Los Angeles that included Norm Chow, Ed Orgeron, and his father Monte Kiffin. 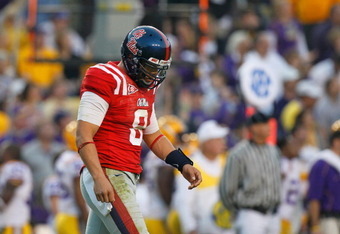 His team went 8-5 in 2010 and lost games to rival Notre Dame, Washington, Stanford, Oregon, and Oregon State. The only true reason Carroll left was his insight on future NCAA sanctions for his program. In nine seasons in Los Angeles, he went 83-19 including seven straight Pac-10 titles. With the absence of an NFL team, Trojan football is the darling of the nation’s second largest city. He was magnificent in making his program the entertaining show local fans coveted. Carroll is an enthusiastic, charismatic, sunshine-loving personality that fits perfect in the southern California scene. It is much easier to get blue-chip recruits to attend USC then convincing big-name free agents to move to rainy Seattle. He has admittedly recognized his enjoyment in recruiting and the talent he brought to USC provides proof of his success. Stated earlier, the Trojans need to make a splash to return to the national spotlight of college football. Since his departure, the Oregon football program has cemented their position as the best in the conference. Even with the return of quarterback Matt Barkley, the Trojans will continue to struggle in 2011 behind an average defense. Motivating a group of elite athletes to compete at the highest-level with no reward (bowl game) in sight has proved to be difficult in Los Angeles. The 2010 Seattle campaign has seen the team defeat only one quality opponent (Chicago). Carroll’s squad has been dominated in the majority of their eight losses. Unless the offense can immensely improve this off-season, the Seahawks will surely be looking up at the improving St. Louis Rams and a talented San Francisco team. 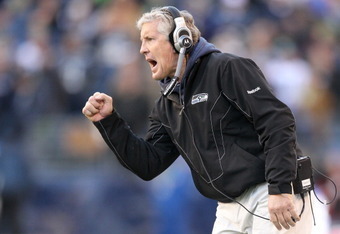 After a below-average 2011 season, Seahawk ownership decides to terminate Carroll in January 2012. Once receiving this news, USC begins to review the progression of the program under Kiffin who is 15-10 in two seasons with the Trojans. The athletic department consults with both coaches, and then announces to the public that Carroll will return to Los Angeles in 2012 as the Trojans head coach. Carroll then somehow convinces Kiffin to become his offensive coordinator. Both Kiffin and Carroll are blessed with good fortune as Barkley decides to return for his senior season. 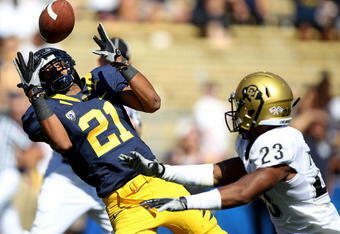 Things return to normal in Los Angeles and the team battles for the 2012 Pac-12 conference title. The instability of two prestigious programs in the state of Florida will be beneficial for college coaches around the country. Both the Miami and Florida football programs boast rich traditions that are unrivaled by most. After four average seasons, Miami showed the door to former coach Randy Shannon. Shannon went 28-22 from 2007 until 2010 and 7-5 this past season. Last week in Gainesville, two-time national champion coach Urban Meyer retired for the second and final time due to medical reasons. A year after a big transition of their own, Florida State and Jimbo Fisher have racked a great recruiting class in Tallahassee. After years of inconsistency, it looks as the Seminoles may reclaim their place as the best football team in the state of Florida for the next few years. One thing is for sure, Nick Saban, Lane Kiffin, Chip Kelly and other high-profile coaches are chomping at the bit to reach several blue-chip Florida and Miami commits. The state of Florida has always been one of the most fertile recruiting lands in the country. The Gators and Hurricanes have built their bodies of work from the talent in their backyards. There is evidence over the past few weeks that these talented preps are taking a second look at their previous verbal commits. Both programs are less then a week into their new eras of football. 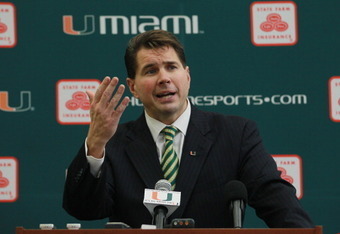 Last Monday, the Hurricanes replaced Shannon with former-Temple coach Al Golden. Golden re-built the once sorry Owls into a respectable program. 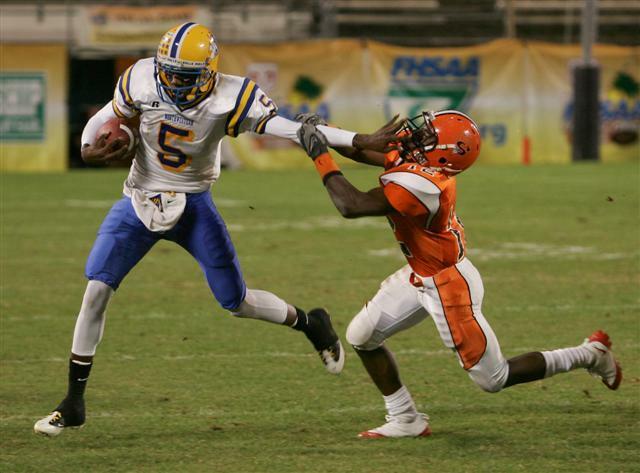 Now Golden must work fast to add some quality talent to a very small list of current 2011 Hurricane commits. The dominoes have begun to fall. This past weekend, standout five-star quarterback Teddy Bridgewater decomitted from the Hurricanes, announcing instead his intentions to attend Louisville. Hailing from Miami Northwestern High School, Bridgewater is widely considered one of top quarterback prospects in the nation. Two Hurricane decommits Albert Louis-Jean and Marcus Jackson have also recently re-opened their recruiting processes. Currently a soft verbal, four-star defensive lineman Anthony Chickillo is Golden’s highest-rated recruit. He hasn’t been shy in reconsidering his commitment to the Hurricanes. He states that he is “committed right now”, but rumors have been swirling of Butch Davis and the Tar Heels closing in on his services. On the bright side for the Hurricanes, New Jersey prep Olson Pierre announced yesterday he would be following Golden to Miami. 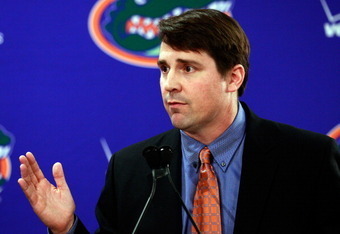 Up north in Gainesville, newly hired Will Muschamp is also looking to shore up the Gators 2011 recruiting class. The former-Texas defensive coordinator left his “coach in waiting” role in Austin to lead the prestigious Gator program. At least Meyer left behind a better class of prep commits then Shannon did for Golden. Florida currently holds fifteen verbal commits including five-star quarterback Jeff Driskel and seven four-star (Scouts) preps. The program is stock-piled with talent from previous recruiting hauls and are still in the running for several highly rated prospects. Muschamp is widely regarded as one of the best recruiters in the nation. While he may show his recruiting muscles in the long run, he may encounter difficulty now until February. Reports out of Eugene this past weekend prove other coaches see a great opportunity to swipe a few Gator commits. A four-star wide receiver, JeJuan Story of Brooksville, Florida, reportedly flew out west to visit Kelly and the Ducks. Oregon already holds verbals from Florida preps Tacoi Sumler and Jerrard Randall. Rumors swirled last week that Driskel may also reconsider his collegiate options. While it is impossible to read the mind of a recruit, it is certainly evident that many of these young adults are reconsidering their interest in attending Florida or Miami. Look for South Florida and the Seminoles to hit the in-state talent very hard from now until signing day. With a state of transition in Miami and Gainesville, opportunistic coaches around the country realize they have been given another chance with some of the most talented recruits of the 2011 class. Just five months ago, the college football world was abuzz regarding the introduction of troubled quarterback Jeremiah Masoli into the Ole Miss football program. The 5’11”, 220-pound former Oregon star stirred-up conversations of ethics, morals and second-chances throughout college football nation. After his dismissal by Chip Kelly in Eugene, Masoli pondered a season with out football. Working the NCAA, he found his way into a graduate program in Oxford, making him immediately available to play. Houston Nutt was heavily scrutinized for opening his arms to the troubled former Heisman candidate. Prior to the arrival of Masoli, sophomore Nathan Stanley had been named the starting quarterback. Stanley was the potential long-term solution and Masoli was nearly a stop-gape with his one year of eligibility remaining. Placing Masoli immediately into a leadership role with the Rebels was a decision that Nutt should have second-guessed. The Ole Miss coach showed his team, fan base and administration that he isn’t too concerned with the the potential results from his unpredictable actions. The season began with unknown expectations and quickly declined to very little expectations early in the September. Setting the tone for the season, Jacksonville State ripped the hearts out of the Rebels with a 49-48 double-overtime victory in Oxford. The lone conference victory of the season came at home against Kentucky in early October. Under the leadership of Nutt and Masoli, they recorded unimpressive wins against Tulane, Fresno State and Louisiana-Lafayette. In hindsight, the Rebels head coach risked his neck and the integrity of his program for a total of four wins. Nutt’s squad finished at 4-8 and 1-7 in conference play. Entering his third year as a starting collegiate quarterback, the senior quarterback ran for over 500 yards, threw for over 2,000 passing yards and accounted for 20 total touchdowns for the Rebels. He also threw 13 interceptions on the year. Looking forward, the future under center for the Rebels will be Stanley, Randall Mackey or junior college newcomer Zach Stoudt. The offensive will most likely improve with the departure of Masoli. The offensive line has shown their potential, and running back Brandon Bolden proved his ability to run and catch the ball out of the backfield. 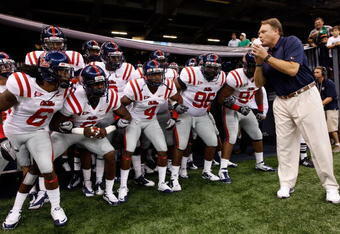 If the 2011 squad can keep Nutt off the hot seat, it will begin with the defense. The secondary gave up big plays and looked consistently lost. The Rebel defense was last in the SEC in points per game allowed and 11th in total defense. After a wasted season with Masoli, the team will look to break in a new quarterback during a very difficult five-game stretch to begin next season. The Rebels will travel to meet Fresno State and host both Georgia and BYU before the middle of October. 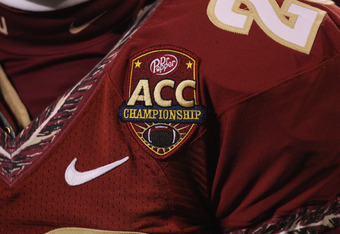 To be considered a success, they will need to reach a quality bowl game in 2011. After 9-4 campaigns in both 2008 and 2009, Nutt will look to erase the Masoli era with an unexpected successful run of victories next year. The past few days have proven to be very rewarding for the California football program. Despite a disappointing season, it looks as though the Golden Bear coaching staff is putting their time to good use—Three highly coveted, four-star. in-state defensive recruits have verbally committed to the Bears since Sunday. First was 6-3′, 265 pound defensive tackle Todd Barr from Lakewood, California. Barr is rated as the eighth best prep recruit in the nation at his position. He held thirteen offers and took official visits to Florida, Oregon, Washington, and California. Teford received more good news on Monday when outside linebacker Jason Gibson of Gardena, California pledged his services to the Golden Bears. Part of a talented prep team including George Farmer, and Marquis Lee, he is ranked as the tenth best at his position in the nation. 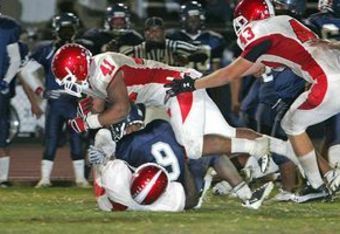 The 6-2′, 210 pound athlete possess great speed and chose Cal over Arizona State, Oregon, and USC. Farmer gave a verbal commitment to the Trojans late last week. The last to make his decision, Lee still is showing mild interest in both Oregon and California. Tuesday, the Cal defense received another pleasant surprise. A prep safety from Georgia, Avery Walls gave his verbal commitment to the Bears. He is ranked twenty-fifth nationally at safety, and also holds a four-star rating from Scout.com. He holds seven offers and chose the Bears over Oregon and Michigan. Including the verbals given by running back Brandon Bigelow and lineman Matt Williams it makes five key pledges given to the Cal program in the past five days. 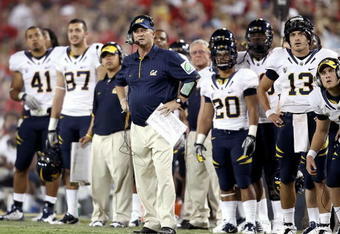 The 2011 Cal recruiting class is starting to take shape with seven four-star recruits and fifteen overall commits. More importantly, Cal has dealt a blow to their rivals in Eugene. The Ducks had high hopes of landing Barr, Walls, Gibson, and Bigelow. Yet, it seems year after year, the Bears are able to pry recruits away from Oregon. Scout recruiting services place the 2011 Cal recruiting class at twenty-third nationally, with the Ducks just behind at twenty-sixth. This is certainly not the first time Tedford and the Ducks have gone head-to-head for some highly touted recruits. In 2003, the Oregon coaching staff was found guilty of recruiting violations regarding running back J.J. Arrington—A junior college transfer who chose the Golden Bears over the Ducks. The following year, the Ducks picked up huge commitments from four highly-touted recruits from the prep powerhouse De La Salle in Concord, California. Oregon has picked up several top-end prospects from the bay area school over the past two decades. In 2007, the younger brother of current Carolina Panther and former Oregon Duck Geoff Schwartz chose to attend California instead of Oregon. Mitchell Schwartz has since become a very important contributor on the Bear offensive line. Two years ago, the Bears pulled Eugene native Charles Siddoway away from home in convincing him to travel south to attend Berkeley. It’s probably time for Tedford to convert the talent he has stockpiled over the past five years in Berkeley. His coaching staff admitted to faking injuries against the Ducks, and if he can bounce back this rivalry may heat up once again.